The Galerie Plan 1300mm double basin and semi pedestals features a striking square design to achieve a stylish and contemporary look. 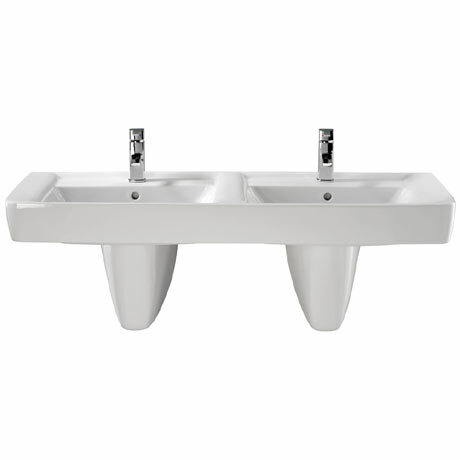 Manufactured from high quality vitreous china, the basin features a single tap hole and integrated overflow on each basin. Dimensions: (W)1300 x (D)480mm approx.